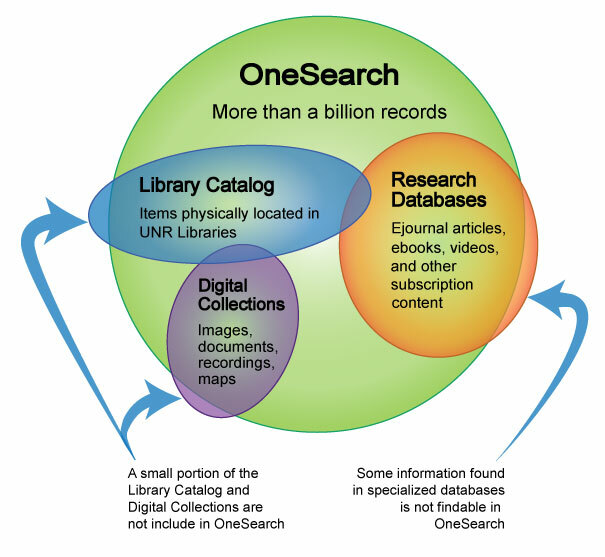 OneSearch searches across the library’s online and print holding to give you results in one easy search. Filters let you easily narrow your search by format, full-text availability, discipline, date ranges, subjects, and more. Will OneSearch give me full-text articles? You will be connected directly to the full text of materials (articles, ebooks, streaming media) that match your search terms, whenever possible. You can use the filters to see only results that include full text or the streaming resource online. OneSearch searches most but not all library holdings. In-depth or comprehensive research may be better done in subject-specific databases.